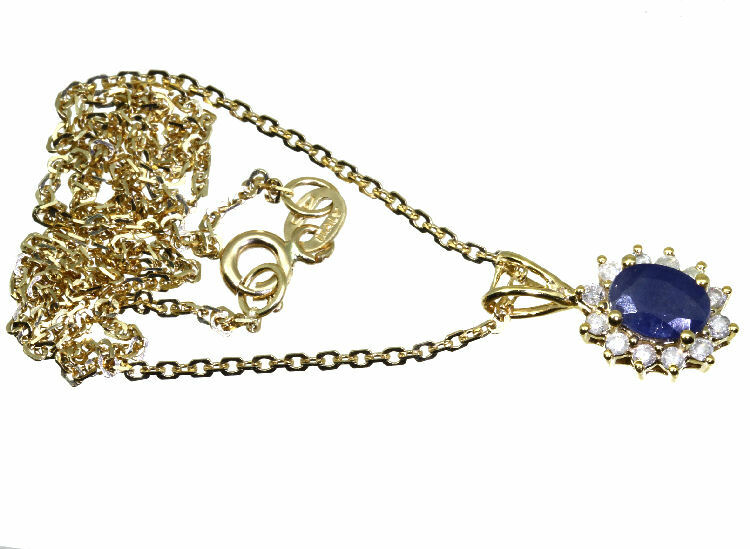 This sparkling necklace is the perfect gift. 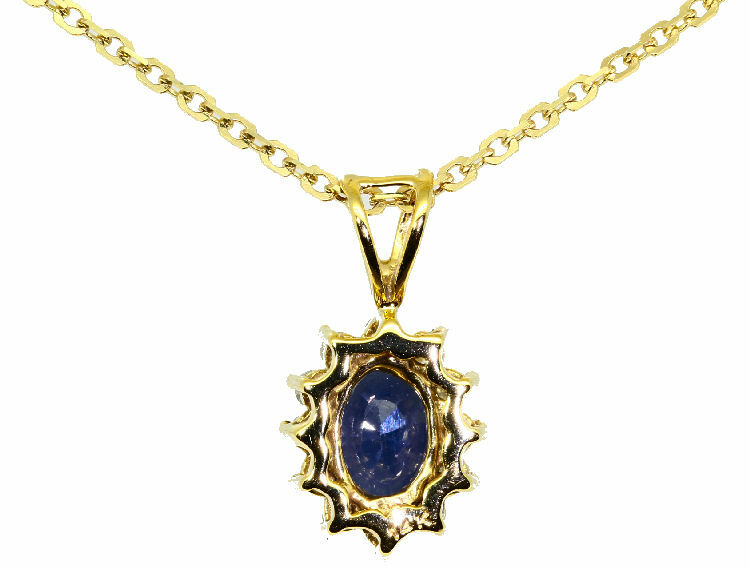 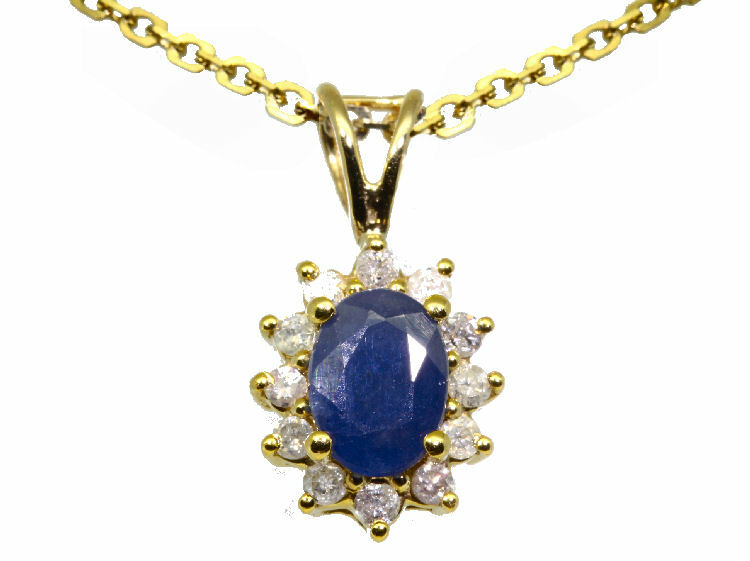 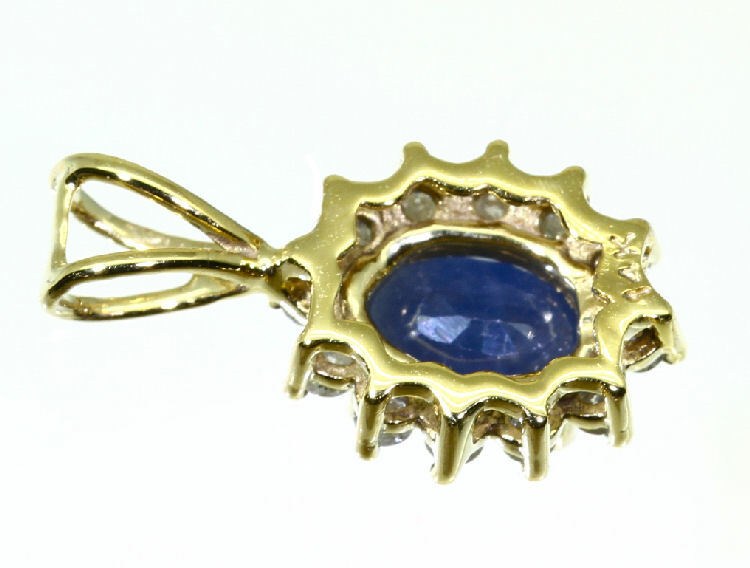 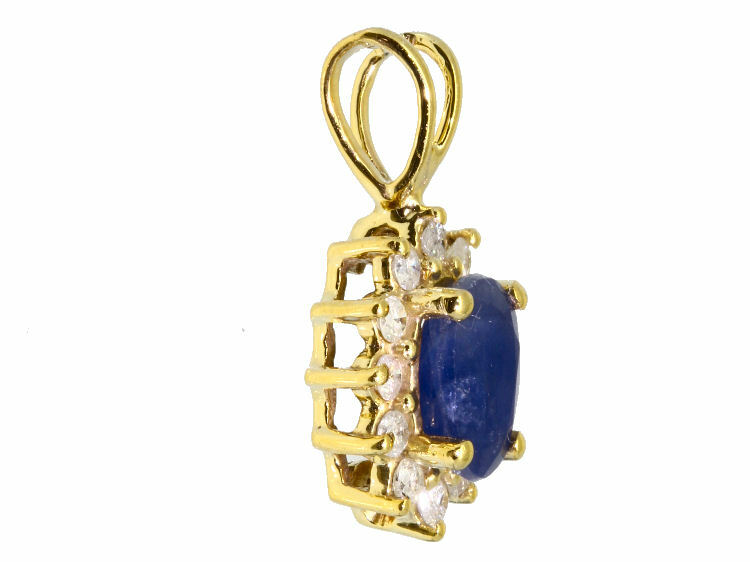 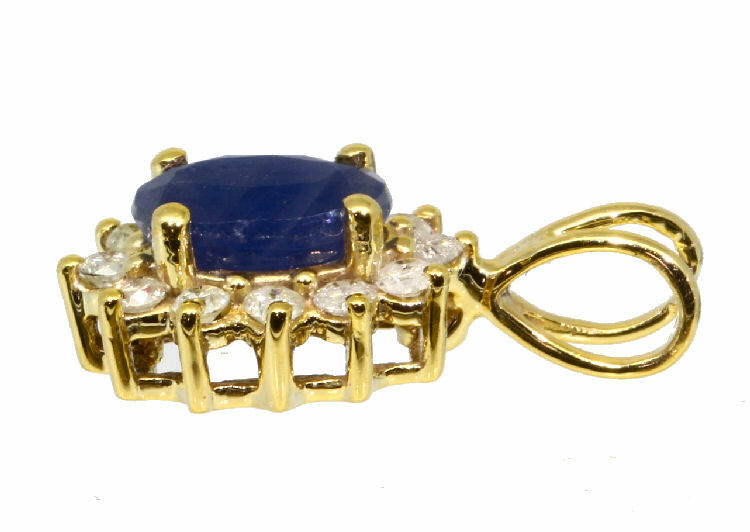 The drop pendant features an elegant single, blue sapphire surrounded with 12 round diamonds in bright polished 14K yellow gold. The oval sapphire measures 7.00mm x 5.00mm with a total weight of 0.90 carats. 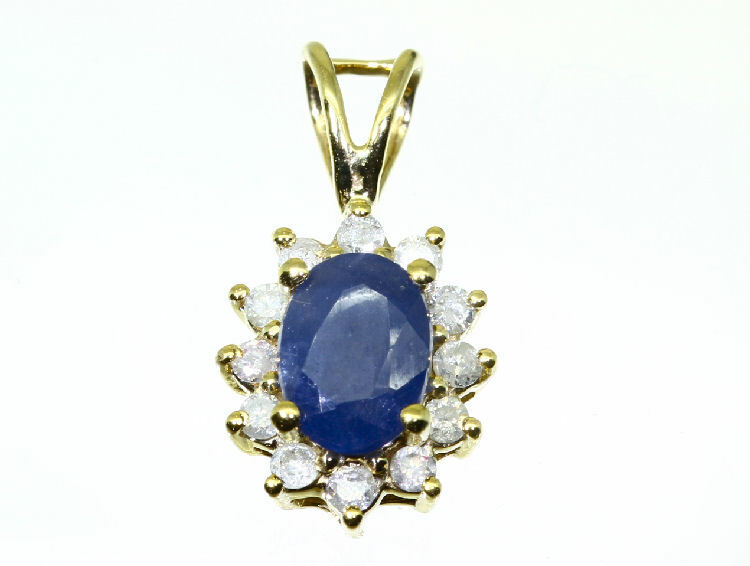 The surrounding diamonds have a total weight of 0.24 carats with I2 clarity and I colour. 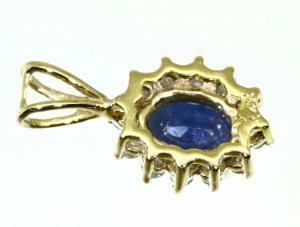 The pendant measures 9.00mm across and 10.00mm long. 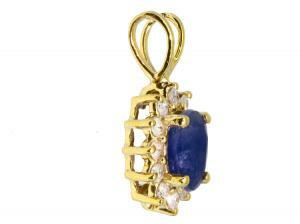 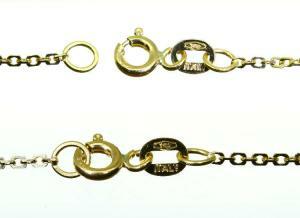 The pendant comes with an Italian 18K yellow gold chain. 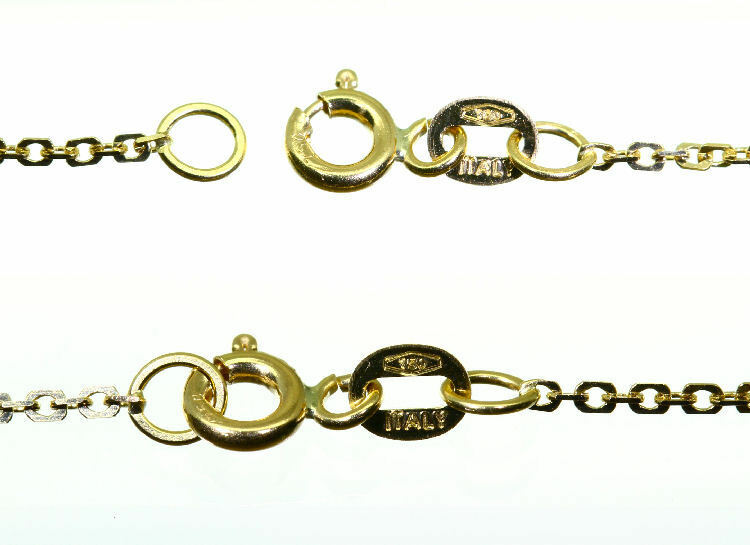 The total weight of the necklace is 3.00 grams with a total length of 41.50cm and is completed with a secure spring-ring clasp.